I am home from lovely sunny Sydney, I miss the sun already, though it is so good to see my dog and be in my own home again! Not to mention catching up with friends, family and clients! Red, a very good friend in Sydney! I must say a big thank you to Peter Jefferson and Kay Smith and the members and instructors of Sydney All Breeds Dog Training Club, who welcomed me so kindly on my last Sunday in Sydney! They allowed me to watch their classes which was great to see, how having gone half way round the world, they are training their dogs with similar methods to us and doing a great job. The instructors all give their time for free, and give a really professional service, making everyone feel welcome. The dogs demonstrated what a great job they are doing, they were relaxed and performed so well, as did the handlers! I especially liked the structure, something that I have often felt missing in many similar english dog clubs, giving clear guidelines about suitable equipment, colour coding the different levels to help split the handlers into groups and keeping to about 6 or 7 in a group, a great number to ensure attention for everyone and success. They do have the advantage of always being able to train outside, a luxury that we often miss out on with our climate! When the teaching was finished I was treated to a chat with the instructors and chocolates! How lovely it was to feel so welcome and at home so far from the UK! I gained a great insight into dog ownership in Australia. My other top dog experience was that my son Matthew’s good friend Ryan loaned me his little Chihuahua, Red. I so appreciated having a dog with me, it made me feel much more at home! Red was delightful companion and satisfied a great desire I have had to live with a hand bag size dog! At 9 years of age, Ryan has done a great job of training Red, from retrieve to stays and coming to call Red is so good! He had taught him to hide in a shopping bag so that I could take him anywhere without anyone knowing I had a dog, he completely understood that he must keep his head down and keep still so that no one knew he was there, most useful when using the bus and taxi’s as they aren’t keen on dogs using public transport in Sydney! Red and I shared some great walks, we both got fitter on our favourite walk from Bronte beach to Bondi along the clifftops, with views like that walking becomes so much easier, especially with the sunshining! Ryan wanted me to teach Red how to roll over, one trick he didn’t know. What I learnt in teaching this to Red is just how bright he is, I have taught quite a few dogs to roll over, a great exercise for increasing a dog’s physical confidence, and Red learnt so quickly, in just a few sessions he was nearly doing this on command, he just needed the slightest physical signal to get him rolling! And he so loved learning, this is the first experience I have had of trianing a Chihuahua and I have to say if they are all like Red they are nearly Collie like in their desire to learn and practice! My thanks to Ryan and Naomi for lending Red to me, he has a permanent place in my heart! oh did I say how warm the water was? 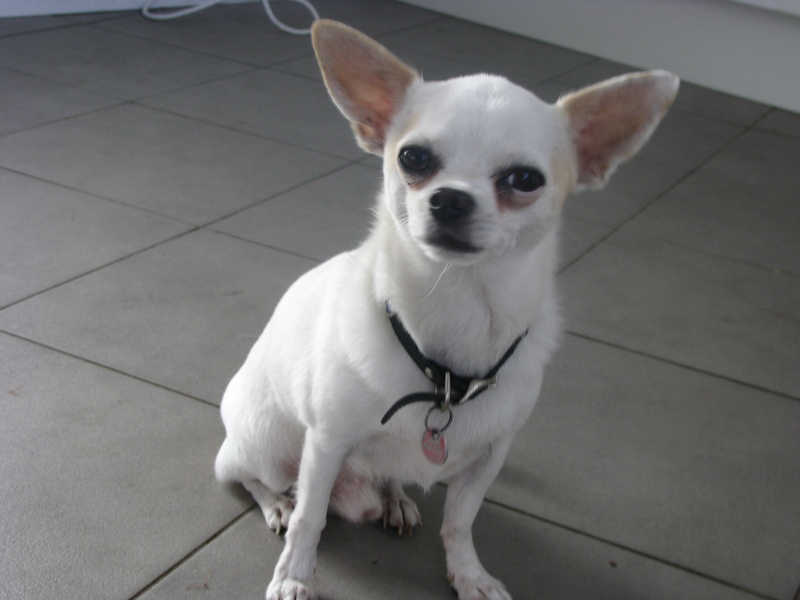 We have a chihuahua too now Avril and I must say she is as bright as a button and very very clever she thinks shes a bulldog and can take anything off any of them before they know it ,she waits till they relax their jaws and pinches it ! I am not surprised Vicky, do you have a photo to share please? if you have any problems email me and I can load from here! « New dog products, a short review!